- New: Added the YouTube account to the Social Media source. Now we can get the comments from YouTube live streams. - New: Added the Sport Graphics pack (optional license required). - New: Added a Sports Graphics Demo template in the New Document window to show how everything should work together. - Enhancement: Implemented an intelligent naming schema when duplicating layer variants or output destinations. - Enhancement: Follow layer now can follow multiple faces at the same time. - Enhancement: Sorted out some UI glitches. - Enhancement: PIP layer got a dedicated Remote Control surface representation including the Do Shrink option. - Enhancement: mimoLive respects the macOS User preferences for the count of recent documents. - Enhancement: Increased performance of Window Capture source (FPS) while lowering overall memory consumption. 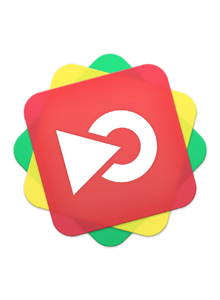 - Fixed: When playing back movies the audio and video could get out of sync. - Fixed: Live streaming comments didn't work for old mimoLive documents out of the box. - Fixed: Streaming to Twitch or screen9.com was aborting after about 4 hours and 40 minutes. - Fixed: When streaming to YouTube the comments didn't show up in mimoLive after 1 hour anymore. - Fixed: Crash when loading complex documents that take a longer time to load. - Fixed: Screen Capture source built up memory. - Fixed: Sources parameter preview showed blank image for Screen Capture sources. - Fixed: Crash when setting up a failsafe source for NDI output. - Fixed: Updated the link to the mimoLive online help for several layers. - Fixed: File Recording couldn't be started manually if Start With Show option was deselected. - Fixed: Split Screen layer had drawing glitches with name tags. - Fixed: Fixed Web Browser source memory build up.